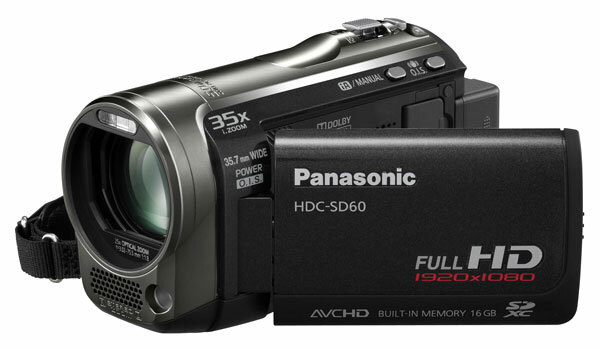 Panasonic announced the HDC-HS60, HDC-TM55, HDC-SD60, full High Definition (HD) camcorders. All three compact and stylish introductory HD camcorder models feature a 35.7mm wide-angle lens, 25x optical zoom, Panasonic’s new Intelligent Zoom feature so the camcorders can extend to a 35x zoom, Panasonic’s iA (Intelligent Auto), Face Recognition, AF/AE Tracking, Intelligent Scene Selector, Intelligent Contrast Control, Face Detection and POWER O.I.S. 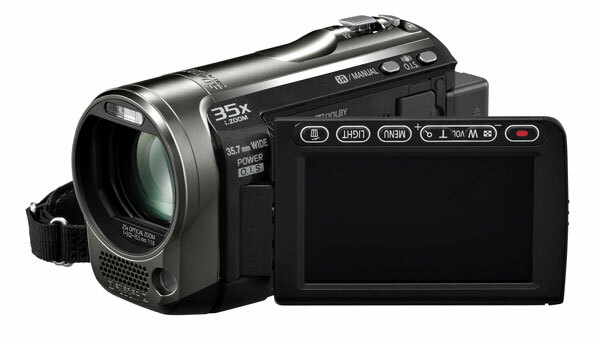 The camcorders record content to SDHC/SD Memory Cards and the new SDXC Memory Cards. The hybrid HS60 camcorder can also record data onto its large 120 GB Hard Disk Drives (HDD) and can copy recorded video from a card to the HDD, or vice versa. 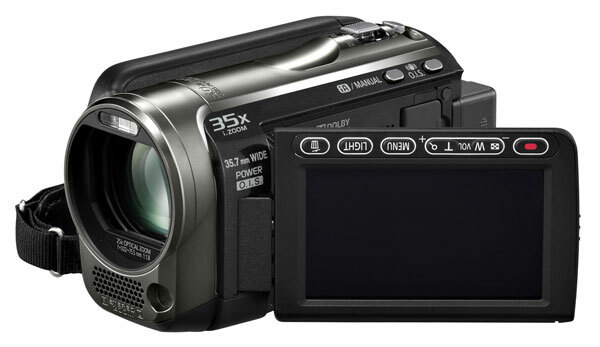 The Twin Memory version HDC-TM55, records to its 8 GB built-in memory and the HDC-SD60, recording to memory card only. I have the TM55, I love it!